The MOBI 360 is the ideal solution to bind books and calendars from min. 52 mm with a max. 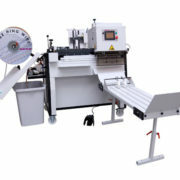 working width 360 mm. Skip bindings are possible. The touch screen control panel is very user friendly, providing quick format changes. 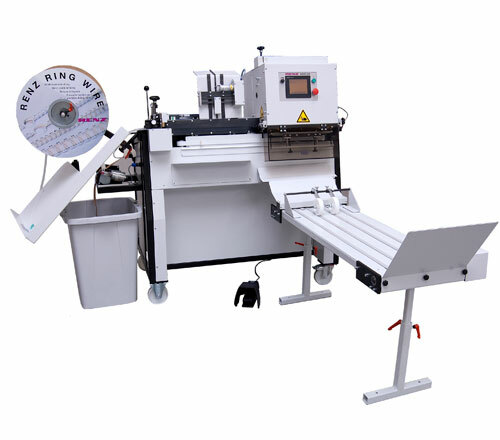 The machine is completely equipped for processing 12 diameters from 1/4″ to 1 1/4″ (6,9 mm to 32,0 mm) with simple adjustment of the wire diameter and no additional tools required. 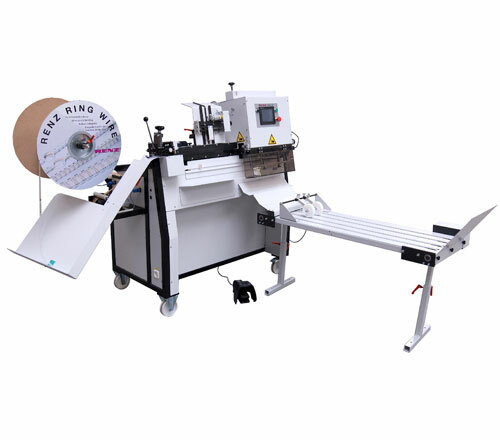 Manual hanging of the pre-punched product on the binding element is easy. A foot-switch activates the transport to the binding station. 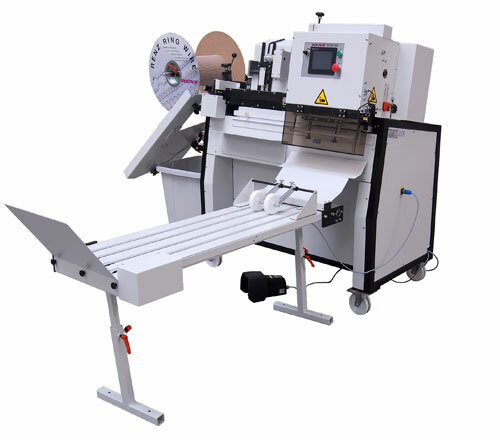 After binding the product is delivered either to the standard height adjustable delivery box or to the optional shingle conveyor. 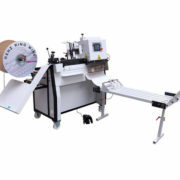 A spare parts package is available for this machine as an optional extra. Spare parts are immediately available on request. Did you know a spare parts package could reduce downtime.